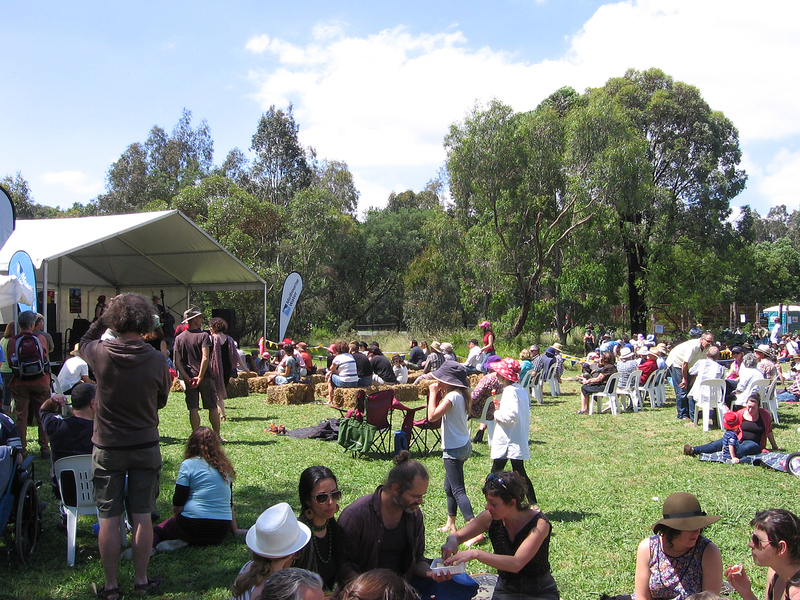 At the invitation of the South Alphington & Fairfield Civic Association, BirdLife Melbourne participated in the Alphington Wetlands Music Festival on Sunday 17 November. Fortunately our role was not to perform on stage but to staff an information marquee with other environmental groups, including the Friends of Merri Creek and the Darebin Parklands Association who had their own marquees. After a horrific few days weatherwise in the lead up week, the weather was great – blue sky, low 20’s, lots of sunshine and a very gentle breeze. This no doubt contributed to the high numbers who attended the festival. I estimate that we had up to 300 people stop at our marquee. 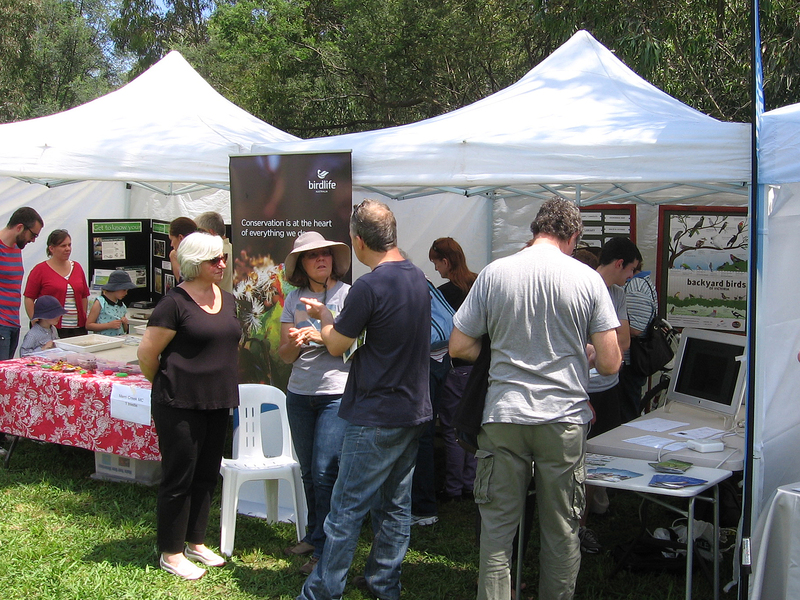 Many were families, the kids enticed to stop with the offer of some bird swap cards and the parents then checking out the display of BirdLife Australia material that was on show. The Victorian Birds in Backyard A4 handouts were probably the biggest hit with the adults, many checking through the birds displayed pointing out to one of our volunteers all the birds they had seen in their garden. The several BirdLife Melbourne Committee Members who worked shifts throughout the day answered numerous questions, promoted BirdLife Australia and BirdLife Melbourne and tried to identify birds seen by many from some very vague descriptions. It was a great community day with many families sitting on the grass to listen to the music, but more importantly for BirdLife Melbourne, gave us exposure to many people who expressed some interest in birds.